GRE Reading Comprehension is the most significant part of GRE Verbal Reasoning. There are 5-7 RC passages and 10-13 RC questions in each of the two Verbal sections on the exam. This means that RC questions will always take up roughly half of all Verbal questions on the exam. The passages themselves take up significant reading time. GRE RC passages are anywhere from 1-5 paragraphs in length, and are followed by 1-4 questions. Below is a guide to everything you need to know about GRE Verbal Reading Comprehension. Enjoy! 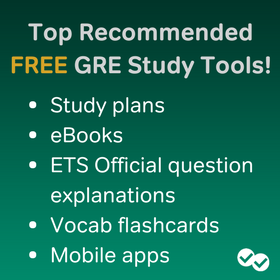 Click the links below to go to each section of our guide to GRE Verbal Reading Comprehension. Compared with the other parts of the GRE, Reading Comprehension seems to be the most difficult for many test-takers. As we’ll discover there are key insights and useful strategies, but no shortcuts. Some test-takers believe that because they can read a newspaper, the Reading Comprehension passages and questions will be easy for them. But casual reading is not critical reading. GRE students often react negatively to the unfamiliarity of the Reading Comprehension content, the sometimes-confusing nature of the questions, and the pacing requirements of this section. For these reasons, Reading Comprehension is likely to be the most time challenging of the GRE verbal question types. Efficiency is critical to performing well on this section. For the shorter paragraph argument questions, the reading is fairly straightforward: just read the paragraph from beginning or end, pay close attention to every word, and be prepared to do a careful reread after you look at the question. For longer passages, approaches to reading need to be more cautious and strategic. Obviously you want to pace your reading properly so you can finish RC in a reasonable amount of time. But RC success isn’t a mere matter of reading quickly. In fact, here’s no point in being fast if you’re not getting the questions right. And nailing the first few Reading Comp questions but then running out of time for the rest of the section won’t do much for your overall score. So you need a strategy that lets you work quickly and accurately. And we have developed such a strategy for you. Because the passages constructed by ETS (GRE test maker) are fairly consistent and the questions that follow are somewhat predictable we can employ a strategy or methodology suited to meet these expectations. Four methods of reading and information processing include skimming, scanning, speed-reading, and critical reading. Skimming is a reading technique used here to quickly identify the main ideas and thoughts of a passage while under time constraints, especially if it’s subject matter with which you are unfamiliar. Our “skimming” is a pretty straightforward technique, and different than other kinds of skimming done for other, less-focused purposes. Skimming is a form of speed-reading that involves scanning (looking quickly but not thoroughly) sentences and paragraphs for clues to understanding, mainly used to get an overall feel for the context. What’s an appropriate title for this passage? How can I summarize this excerpt? Where might this passage have appeared — a newspaper, scientific journal? For what reason was this piece written? Try to summarize the passage and track the details as you move through the material. These techniques works especially well if you tend to lose concentration as you read. Remember, this part of the GRE is basically an open-book test, so you don’t need to write down or remember every detail and key point. You just need to know where to find them. Some passages may have line numbers for references. Some passages may not. In those that don’t, the question stems may reference information in the passage by paragraph number so be conscious of the paragraph breaks as you read. The question stem is the part before the answer choices. By identifying the question-type, you’ll know better how to approach the answer choices. Here, the stem reflects the nature of the question leading you to the first paragraph and providing information to answer the: where, when, who, and what questions. What often happens is you will read the question, and then go back to the passage without understanding what the question was asking in the first place. At this point, you are likely to grasp at words in the passages that look important, and look for those words in the answer choices. Instead of falling into this trap, it is best to rephrase the question in your own words. The more straightforward your interpretation of the question, the better you will be able to navigate through the passage when looking for the answer. Don’t time yourself on the Koko and Chocolate passages. Focus on finding the correct answers. You can work on timing later, with the practice sets. Once you think you’ve found the answer, try to phrase the answer in your own words. If you immediately begin scanning the answer choices, you’ll likely get trapped. Make sure your choice responds to the question stem. Refer to your notes and don’t pick an answer until you’ve found the evidence to support it (or lack of evidence to discard it). Once you’ve eliminated as many answers as you can (ideally, four), pick the best remaining choice and move on. There are 11 common question types for GRE RC. This sounds like a lot, but don’t worry– it’s easier to remember them all than you might think. Helpfully, the questions are divided into two groups: question types for Paragraph Argument passages (sometimes still referred to as “Critical Reasoning,” their name on the old GRE), and question types for passages that are not paragraph arguments. Non-PA Reading Comprehension questions can vary in length. They can even be as short as a single paragraph. But whether a regular RC passage is a paragraph long or several paragraphs long, their questions are distinctly different from those of paragraph arguments. We’ll look at the question types for these more general, non PA passages first. Here is a list of the four most common question types for regular, non-Paragraph-Argument GRE passages. Click each item on the list for a full, in-depth article devoted to the question type. Or for a “quick hit,” see a brief description of each question type right below the list. Main idea questions are exactly what they sound like. You will be asked to identify the main idea, dominant theme, or primary purpose of the passage as a whole. Ways to identify main idea questions and strategies for approaching these questions can be found in Kevin’s main idea GRE Reading Comprehension tutorial here on the blog. This is perhaps the most common type of GRE question. As you’d expect, this question type requires test-takers to make inferences based on what they’ve read. What you might not expect is just how strict the rules are for identifying the correct inference. On the GRE, inferences must be based only on the passage. You shouldn’t infer something to be true based on any personal knowledge of the topic; look only at what’s in the passage. Also avoid inferences that depend on possibilities rather than certainties from the passage. If you find yourself thinking “this inference is true if…”, you are not making a proper GRE RC inference. GRE inferences are only correct because of something concretely stated in the passage, no “ifs” about it. If this still sounds a little confusing to you, don’t worry. 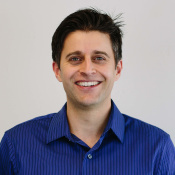 Kevin has written a full tuotorial on GRE RC inference questions. If you’re already a little familiar with GRE Verbal, you know that it’s a very vocabulary-driven assessment. While the Text Completion and Sentence Equivalence sections of the GRE focus the most on vocabulary, vocabulary is important in RC as well, especially for meaning in context questions. Like Text Completion and Sentence Equivalence, RC meaning in context tests your knowledge of advanced academic vocabulary, and often focuses on unusual or less-commonly-used definitions of words. “Highlight the Sentence” questions require you to highlight a sentence in the passage. Of course, the more important questions are why you’re being asked to highlight a sentence, and how to find the correct sentence. So let’s look at this question type in a little more detail. In GRE Reading Comprehension, “highlight the sentence” questions ask you to select the sentence in a paragraph that serves a specific purpose. For example, you may be asked to find the sentence that analyzes and critiques an approach to the scientific method, or distinguishes two different Baroque styles of writing. Charles Darwin, the famed originator of the theory of evolution, was the first scientist to posit that certain human facial expressions are innate and exist in all cultures. While Darwin’s theories of innate psychology were overshadowed by his theory of evolution, his suggestion that some facial expressions are universally human was never entirely forgotten. In the 1970s, nearly a century after Charles Darwin’s death, a group of researchers lead by psychologist Paul Ekman set out to investigate the validity of Darwin’s belief in culturally universal non-verbal face expressions. Ekman and his research team used a modern technology that had not been available to Charles Darwin: videotape. Ekman and other psychologists reviewed hundreds of hours of footage of psychoanalysis sessions with patients from various cultures, searching patients’ faces for expressions that may be universal. Ultimately, the new research revealed a number of important discoveries. First, the researchers determined that there are seven major culturally universal face expressions: ones that represent disgust, anger, fear, sadness, happiness, contempt, and surprise. Second, the research revealed that these face expressions were involuntary; even subjects who were trying to hide their emotions would make a universal “microexpression” for a fraction of a second, disclosing their true feelings whether they intended to or not. Question: Select the sentence that introduces an important fact about the minimum duration of a type of nonverbal language. Second, the research revealed that these face expressions were involuntary; even subjects who were trying to hide their emotions would make a universal “microexpression” for a fraction of a second, disclosing their true feelings whether they intended to or not. This is the correct sentence because it explains the minimum amount of time (a fraction of a second) that a certain type of nonverbal speech (universal “microexpressions”) lasts. You can find a few additional examples of this question type in The Official Guide to the GRE General Test, and many more practice “Highlight the Sentence” questions if you subscribe to Magoosh GRE Premium. Factual detail questions are fairly common on undergraduate university admissions tests such as the ACT, SAT, and TOEFL. (Yes, I know grad schools also require the TOEFL, but ETS has really designed it for undergraduate admissions!) In this question type, test-takers simply have to correctly identify a fact that was stated directly in the exam. This fact will be paraphrased in the correct answer choice. This question type is not that common, but there’s a distinct possibility you’ll see it once on test day, somewhere in the two verbal sections on the test. In fact, the GRE Official Guide has one of these in its sample test. Factual detail questions are fairly straightforward, and again– they are rare. So you don’t need to spend too much time studying them. Below is a short passage and sample factual detail question. I recommend looking the passage and question over briefly, just so you know what to expect if one of these questions appears on your exam. Marsupials and placentals, the two largest divisions of mammals on the earth today, are distinct from each other primarily due to the way their young are gestated. Marsupials have comparatively short gestation periods, after which minimally developed offspring are born and promptly move into a protective pocket outside the the uterus where they can develop further. Placental mammals demonstrate longer gestation periods, with young that are born more fully developed; placental newborns nurse at mammary glands outside of the mother’s body and experience prolonged periods where they have no physical contact with their mother. Differences between the prehistoric ancestors of these two divisions of mammal are discenred through study of the fossil record rather than examination of life cycle. Scientists theorize that the ancestors of marsupials, known as metatherians, probably split from those of the eutherians, placental mammals’ ancestors, during the mid-Jurassic period. Fossil metatherians differ from eutherians in their dental morphology. Fossilized metatherians show four pairs of molars in each jaw, whereas eutherian mammals never have more than three pairs. Per this criterion, the earliest known metatherian is Sinodelphys szalayi, which lived in China around 125 million years ago. It seems that Sinodelphys szalayi lived alongside some early eutherian species, fossils of which which have been found in the same area. The correct answer is (C), because the passage mentions that the ancestors of marsupials had four sets of molars, while the ancestors of mammals had three sets or fewer. (A) is incorrect because the passage says that fetal development is a distinguishing trait of modern marsupials and placentals, not their ancestors. (B) is wrong because the passage doesn’t even mention tails. (C) is wrong for the same reason as (A): (C) mentions a distinguishing trait of modern mammals, not prehistoric ones. (D) is wrong because both marsupial and placental ancestors were found in ancient China; this does not distinguish one group from the other. With this question type, the answer choices always introduce new facts that weren’t in the original passage. Test takers may be asked to select a new fact that would weaken the argument’s main claim if it were true, or they may be asked to select a new fact that would make the argument weaker if true. This question type is used for arguments that have a “gap”– a leap in logic or a piece of missing information that makes it difficult to assess whether or not the argument is correct. An evaluate argument question asks test takers which additional information would be necessary to determine if the argument is valid or not. This question type appears when the initial passage makes statements that appear to be contradictory. For example, a passage might say that climate change has caused average atmospheric temperatures to rise, while also exposing the majority of the earth’s population to greater extremes of cold each year. Such a passage would likely be followed by a paradox question, which asks test-takers to choose an additional fact (not in the original passage) that would explain the passage’s contradiction. Assumption questions are similar to evaluate argument questions in some ways. A passage preceding an assumption question will have a leap in logic or an information gap, like an evaluate argument question. However, in the case of assumption questions, test-takers need to identify the assumption the author is making but not directly stating. Bold faced Paragraph Argument questions are a lot like the “highlight sentence” questions associated with general RC passages. However, bold faced questions involve two sentences rather than one, and the sentences will already be highlighted for you. With this question type, it’s your job to correctly identify the purpose these two sentences serve, and the relationship the sentences have to each other. This is the least common Paragraph Argument question type, but it could still easily come up a time or two on test day. Here, as you would expect, you need to select an answer that completes a blank space at the end of the argument. The answer choices will always be possible conclusions to the argument. In this question type, test-takers will, of course, need to choose the best, most appropriate conclusion. 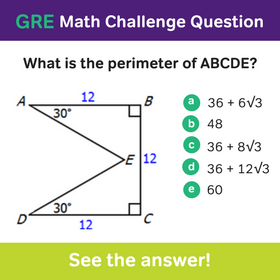 And be sure to check out the Magoosh GRE Blog’s GRE paragraph argument archives for additional help with these kinds of questions. Hi Chris, I came to know that to conquer Reading Comprehensions we must read a lot..
Can you please explain on the “rotten fruit” part of your post. What does it really mean? What I mean to say is that certain answer choices are 90% correct. Students read only the 90% and think that the question must therefore be correct. The other 10% of the answer choice contains something that is patently wrong, and thus invalidates the entire answer. The reason I use the rotten fruit metaphor is to describe how we purchase fruit. We don’t look at the 90% that is ripe to make our purchase. We look at the entire fruit. If anything is off, i.e. that one rotten spot, we put the fruit back. Likewise, we should eliminate such answer choices. Im doing really bad in RC. I could answer only half of the question correctly.. i find it difficult to answer the primary purpose or main idea questions. sometimes i get stuck with the two answer choices and end up selecting the wrong one. can u suggest me some material from where i can practice more RC ?? A really helpful strategy is to try to come up with the main idea in your own words. Then match your answer to the appropriate answer choice. Doing so helps you avoid misleading wording in the wrong answer choice. Can you tell me what is the difference between Maghoosh verbal GRE online prepration and Manhattan GRE last two verbal books. The two are very different. Magoosh is entirely video lesson based. Also the questions are all on the computer. As far as the verbal books go, I would not recommend the MGRE SE/TC book. The questions do not accurately reflect what is on the actual test. Thank you, Chris. Shouldn’t 1 say “Rephrase question in your own words”? hi Chris, i have recently given GRe test and scored in verbal section 142 and in quantitive section 162 stiil waiting my AWA score. I am interested in Australian universities and one particular university is University of Melbourne. my intended program is masters in economics. So can i get admitted? My specialty is the GRE. I don’t know too much admissions. And as this is the first time someone has asked me about Australian universities, I am at a loss to answer your question. Sorry :(. Is there any difference between MGRE and MGMAT rc study guide? There are definitely some differences because the scope of passages and types of questions differ between the two tests. Overall the approach to RC is the same. I’d still pick up the MGRE RC book. I had bought 4th edition of your books for GMAT exam and got a good score thanks to you and your work that you have done with these books to make bright future of several aspirants like me. I really like to appreciate the the work done on strategies of verbal section. My sister is writting her GRE exam on Aug 30, she has been prepared from NOVA GRE maths bible, Barrons(old) and Kaplan premiere 2009 she is getting 700 score in quants but she is not sattisfied with her verbal section. I want to know one thing that the strategies of Manhattan GMAT verbal will be same for GRE also or some changes should be done to learn.Please give me a detailed explaination because you make my life and i want her life also to be setteled like me. I’m glad we helped with your GMAT! The GRE verbal, however, is very different from the GMAT verbal. It’s basically a difference of vocab and grammar. Our Ebook should give you a sense of this. Thanks very much for you informative reply. I really appreciate the addition of new questions to the Magoosh course in the Verbal section. It would be great if there could be a few more questions added in the Reading Comprehension section. Also, could you suggest some resources (other than Magoosh) for more GRE question-type practice in this section? I’m glad you enjoy the new questions. We are working on getting more RC questions into the product. For more practice, I recommend the MGRE 6-online tests, which you get free by buying one of the MGRE books. Thank you very much for the tips and hints. I have started preparing for the GRE exam, and I am planning to take the test 4-5 months from now. My overall reading comprehension skill is not that bad: I scored 23/30 (which is categorized as “High”) in TOEFL iBT exam; but I find myself desperate and frustrated in GRE RC. I tried some GMAT reading comprehensions and didn’t do better than answering half of the questions correctly. I also tried Barrons’ and did better, since I found the texts shorter and easier to understand. Furthermore, I recently took your advice and started reading “The Atlantic” articles, and will continue reading those of Christopher Hitchens’, as you suggested somewhere. But unfortunately, I am not sure any of them will help me improve my score, because I haven’t observed any improvements in my situation since 3 weeks ago, when I started preparation. 1- How much time, in average (because they vary in length and complexity), we can spend on a passage? 2- How many critical reasoning questions will be on RC section? 3- Which one is more important: Learning how to attack critical reasoning questions , e.g. weakening, must be true questions, assumptions, etc., or improving our reading ability? 4-Which one do you recommend the most? Learning RC tactics from Princeton’s “Cracking the New GRE”, and applying them on ETS Official Guide, or “Manhattan GRE” is more effective and comprehensive? Thank you once again for all the helps and great tips. I definitely encourage you to continue on your path of learning. Reading the Altlantic, etc. should help you in terms of vocabulary. Of course nothing matches reading the actual RC passages themselves. And for almost everyone I’ve ever taught, improving on RC takes the longest time. It is a slow, incremental improvement – definitely stick with it. 1) It is hard to give an exact estimate on reading time, as the passages differ so much. I would say do not spend more than 8 minutes on the very long passage. (Assuming there are 5 questions max). 2) There should only be about 2 or 3 critical reasoning questions. 3) Both are important. If you want to become adept at Critical Reasoning practice these types is essential. Our Magoosh product has plenty of them. Ditto the Official GMAT guide. 4) Really depends on which tactics you find work best for you. Overall, the tactics between Princeton and MGRE are not too different. MGRE tactics tend to be more nuanced. Hopefully that helps, and keep persevering. RC success will be yours :). My last GRE Verbal was 147 and I need something more than 155. My weakest part, in effect, is reading and I wonder if there is any test bank, in paper preferably, that you recommend. One more question. Do you thinl it’ll be wise if I study big book’s readings? Sure, the big book has got lots of touch passages. While some of the RC passages are slightly different in tone (they are more straightforward), many questions from the big book should help prepare you for test day. For even more practice, pick up either the GMAT Official Guide, 13th edition, or an LSAT book containing the real tests. This level of RC will definitely help :). Thanks a million Chris 🙂 . Whenever i attempt RC questions , I first read the whole passage and then read the question and end up reading the passage again to look for the answer. I end up reading the passage atleast thrice for every question. what is the best approach to be taken for a RC? Like are you supposed to read the question and then read the passage or the other way around? Sometimes they ask ” what can be inferred from this passage?” In that case you have to read the whole passage anyway to answer the question. Hope you can help me out. Essentially, read the entire passage first so that you understand the big picture, the main function of each paragraph, and have a sense of where different details are located. You will end up reading certain parts of the passage twice (or thrice). Do not read the questions and then attempt to look for the answer. As for inference questions as long as you have a big picture idea of the passage, you should be able to eliminate the wrong answers. Let me know how it goes. And I’ll be happy to answer any other questions you may have :). This one is quite a labyrinth ,took me long to get a browse it over, leave apart perusing,moreover i found this passage nondescript but i think this is because of the inscrutable language . I think this method is best approach to be camaraderie with the passage ,however abbreviating should be done as swiftly as possible. HOPE THIS PASSAGE DOES NOT SHOW UP IN ACTUAL GRE EXAM . It is a tough passage, and hopefully exam day you will not have to contend with such a beast :). As i mentioned in my previous comments your advice and MGMAT strategies helped me a lot.I tried these techniques and was quite successful,but Irony of the situation was when thought of trying these in a mock exam i was ceded by a convoluted passage that quashed me from trying the technique . Many literary detectives have pored over a great puzzle concerning the writer Marcel Proust: what happened in 1909? How did Contre Saint-Beuve, an essay attacking the methods of the critic Saint Beuve turn into the start of the novel Remembrance of Things Past? A recently published letter from Proust to the editor Vallette confirms that Fallois, the editor of the 1954 edition of Contre Saint-Beuve made an essentially correct guess about the relationship of the essay to the novel. Fallois proposed that Proust had tried to begin a novel in 1908, abandoned it for what was to be a long demonstration of Saint-Beuve’s blindness to the real nature of great writing, found the essay giving rise to personal memories and fictional developments, and allowed these to take over in a steadily developing novel. Draft passages in Proust’s 1909 notebooks Indicate that the transition from essay to novel began in Contre Saint-Beuve, when Proust introduced several examples to show the powerful influence that involuntary memory exerts over the creative imagination. In effect, in trying to demonstrate that the imagination is more profound and less submissive to the intellect than Saint-Beuve assumed. Proust elicited vital memories of his own and finding subtle connections between them, began to amass the material for Remembrance. By August, Proust was writing to Vallette, informing him of his intention to develop the material as a novel. Maurice Bardeche, in Marcel Proust, romancier has shown the importance in the drafts of Remembrance of spontaneous and apparently random associations of Proust’s subconscious. As incidents and reflections occurred to Proust, he continually inserted new passages altering and expanding his narrative. But he found it difficult to control the drift of his Inspiration. The vent richness and complexity of the meaningful relationships that kept presenting and rearranging themselves on all levels, from abstract intelligence to profound dreamy feelings, made it difficult for Proust to set them out coherently. The beginning of control came when he saw how to connect the beginning and the end of his novel. Intrigued by Proust’s claim that he had “begun and finished” Remembrance at the same time, Henri Bonnet discovered that parts of Remembrance’s last book were actually started in 1909. Already in that year, Proust had drafted descriptions of his novel’s characters in their old age that would appear in the final book of Remembrance, where the permanence of art is set against the ravages of time. The letter to Vallette, drafts of the essay and novel, and Bonnet’s researches establish in broad outline the process by which Proust generated his novel out of the ruins of his essay. But those of us who hoped, with Kolb, that Kolb’s newly published complete edition of Proust’s correspondence for 1909 would document the process in greater detail are disappointed. For until Proust was confident that he was at last in sight of a viable structure for Remembrance, he told few correspondents that he was producing anything more ambitious than Contre Saint-Beuve. Wow, this passage is almost as convoluted as Rememberance of Things Past itself :). Better yet, if you can create this schematic in your head, then this passage becomes far less daunting. This is a great passage for practice. I’m guessing what you see test day won’t be any more difficult than this :). (also saving a lot of money i spent unnecessarily on coaching,which was not to this level).. will definitely recommend magoosh to all my friends appearing for gre.. Oh, and btw Chris, U rock !! I am happy the lectures have been helpful. You can always take the new version of the GRE :). I do reread the passage more than once for the topics related to arts , literature or a passage stating many theories 🙁 and if a passage contains more number of unacquainted vocab ,i wont reread twice but rather would reread the phrase containing the words twice …. About more than one answer choice ,i vacillate a lot i even tend to spend more time in the question and at the end marking it wrongly…..
Say for example a long RC related to arts /Shakespeare literature ect is given containing difficult jagrons and phrases . The effect my performance a lot for the remaining part of verbal section. Let me know how the passage exercise is coming along :). Can you tell me from where i can get a pdf of LSAT RC power prep for free. I tried there CR for GMAT and its great ……. And don’t feel you have to go all the critical reasoning questions. Only a few show up on the GRE (and many of the question types in critical reasoning do not show up in the critical reasoning paragraphs that pop up on the GRE verbal section). And for the more than one answer question i always falter and do the question wrong .I even tend to take more time than required . So its like this a big passage containing lots of complex vocab usage is given firstly i would take more than 3 min to read the passage and after that even 3min to answer a more than one answer question . Here is a good question: when you initially read the passage how much of the info. are you retaining? It is one thing to read the passage – even spending 5 minutes on it – it is a totally other thing to actually retain what you read. A good exercise is to take the first passage in the LSAT test (the one with Rita Dove). Spend about 3 to 4 minutes reading the passage (time yourself!). As soon as you are done force yourself, on paper, to come up with an outline of the passage, mentioning the main ideas and the details that supported those ideas. (Whatever you do, do not refer to the passage. Your outline must be based on the info. in your head). Also throw in any important concepts, esp, if words are italicized (this doesn’t really pertain to the Rita Dove passage). With passages that have multiple theories, mentions how does theories relate to one another. If you struggle to come up with anything, then the problem is in your ability to synthesize the info. as you read. If you have an elaborate outline that clearly shows that you understand the passage. The problem then may lie in your approach to the questions. Before I elaborate on questions, do this exercise first :). I eagerly anticipate the results :). Thanks Chris for being such a generous pundit…. Similar situation happens when given a long RC .Things does’nt get into my head and moreover feel nervous as i know this fact . I am sure u know what i need to do to improve it…..
Oops, I did not see you had already posted this :). So it sounds like it is a psychological block: You must trick your mind so that you get into the passage. Sounds trite, but such a method works. Try it with the next passage in the LSAT. That is think of the passage as the greatest thing ever. That is the only way to turn your brain on so that it makes an effective outline of the passage. I tried it again n this time as if i liked the passage though it took a bit of more time(5 mins) to read a long passage ( longer than rita one) but i was able to get what is happening in it . I even wrote some lines about the passage which seemed to true.However ,my struggle with except,least ,which is not true and more than one choices true still continues…. I took an exam (infact 2-3 exams)and found that i am not able to complete verbal section on time specially RC’s ,say i could complete 50% of the reading comprehension and rest guess(when a passage of arts or liturature background appear the performance furher decreases) …. Please can you help me out as to how to increase my speed . How are you reading the passage? Do you find yourself constantly rereading the passage? Do you find yourself constantly rereading the passage? Are you vacillating between more than one answer choice? Let me know the answers to these questions and I will help you come up with a targeted approach to help you speed up in RC :). Can you please review the book “LSAT-Reading comprehension Bible” by Powerscore?.I thought to use this book for practicing RC. Sorry, I am a little late in my reply. As for strategies, I want to work as much as possible in the ecosystem of the New GRE. While there is significant overlap between the two tests, I worry that there will be concepts covered that are not germane to the GRE, and with the new question types, there will be errors of omission. For practice questions/passages, LSAT is great. All that said, PowerScore has a very strong reputation with its ‘Bible’ series. That said, I will like to explore the PowerScore RC LSAT book more in-depth in the future. Thanks Chris.I am preparing to take the GRE in mid-of April. I am using the Princeton Review book for strategies and using Magoosh and “1014 Practice questions of Princeton” for taking test. Is this fine for getting good score in GRE? Am I going down the right path? Please let me know if I should follow some other books or strategies. 1014 is a great concept – plenty of GRE questions. My experience and the Amazon reviews show that the book was rushed to print with numerous typos and mediocre content. I would recommend the Manhattan GRE series instead. Take a look at my book reviews on the blog – click on the tab that says “book reviews” at the top of the post. Can you please throw some light on Analytical writing? Also, there will be a post later this week that dissects a GRE argument. i am taking princeton review tests and final analysis of the test is showing that i am scoring less with rc(specific) and rc(argumentive).so sir will u be able to throw some light on these types of questions. I have plenty of pearls of wisdom to dispense on RC – they are right above in this blog post. For even more RC tips, click on any of the dozen links below the post. Hi Chris, I have enrolled in magoosh gre recently and i wanted to know how to start up with practice sessions and lessons. According to your study plan of 3 months, I have gone through time, newsweek magazines for critical reading and improved a lot. Can you please help me in this regard. I’m not sure if I understand you correctly…have you already bought the Magoosh GRE product? If not, you can access hundreds of lessons and practice questions. If you simply want more in-context reading you can try the Atlantic or the Economist. I am taking the revised GRE in 2 weeks. Although I’m good with vocabulary, I have a lot of problems with Reading Comprehension. I have applied all the tricks but they don’t seem to work for me. Please help me out. Sorry for not getting back to you sooner…once in a while a comment (esp. a small one like yours) can get lost in the mix. So before I can really answer that question, I have to have a better sense of what you mean when you say all the “tricks.” There are after all a lot of “tricks” out there. And “tricks” will only get you so far on reading comprehension. You must learn to read the passage for meaning and be able to answer questions in your own words so that you can anticipate answer choices. This skill takes a lot of practice. But get back to me and let me know how you are currently approaching the passages and I will do my best to help! For this question, it’s difficult for me to judge whether that was a huge increase or a minimal increase in expenses. I guess we are using outside judgement here, where even 1/2 a percent is considered a big leap, i.e. unemployment numbers. In GRE land, what would be considered extreme or minimal? Thanks. I would think of it in terms of how many times a percent has changed. In this case it is x3. Of course there is no clear rule here. For instance, 20% to 30% increase is more momentous than a .1 to a .3 increase (though it is only 50% greater, not three times as great). I agree that context is very important, and most of us do not have context with fire departments the way that we may have with unemployment. In GRE land you won’t be expected to know a certain context beforehand – a severe increase will be clear (e.g. 20 to 30%). Also, I remember you’d asked earlier about a post that deals with bold-faced question type and some of the usual accompanying verbiage. It’s just been published, so you can find it here: https://magoosh.com/gre/2011/a-reading-comprehension-question-type-resurrected-critical-reasoning/. Let me know if you find it helpful. It’s helpful, only wish you guys did a module for it though like you guys did on the other topics. The text completion you did was awesome, I was able to do sentence completion pretty fast, now that I went through the 3500 word list. Right now, I am doing a quick read using Nova’s Critical Reasoning GMAT bible. It has the explanations and definitions of conclusion, premises, second premises and all that. I just learned what a stimulus was and it is not to prop the economy in the standardized test world! It also explains the questions where it has bold print, but I hope Nova’s material stays true to the test material. Apparently, the new GRE wanted to borrow things from the GMAT, so I guess I have to glance through the GMAT. I can’t believe how so many books on the new GRE does not cover this even though it would be in the real GRE exam! Thanks for the great feedback! I agree that the critical reasoning question is an important one. This is first on my list for a touch up on the modules. And that’s the great thing with Magoosh – we can literally add content (modules/questions/etc.) over night, whereas with the “other guys” you have to wait till their respective publications come out a year from now. Anyways, good luck on the exam and let us know how you do! Hi Chris, can you post a quick how-to on reading comprehension that deals with the purpose of the highlighted sentences? I am pretty sure many of us have problems with the answer choices. You know, the ones where the answer choices start out as, the first serves as an intermediate conclusion that supports an earlier argument while the latter supports the conclusion as a whole. If you can help with just the definition of intermediate arguments and other convoluted words, that would be of great help. Thanks! That is definitely a pesky question type! So I think it definitely warrants a blogpost. Stay tuned, and I will try to publish one as soon as possible. Thanks Chris. If it isn’t too much to ask, can you help us out within 2 weeks? My test is coming in 3 weeks! I know some of us may need it sooner too! I have been searching many books, and even went through the modules where you explained these question types, but sometimes, I think the whole crux of understanding what these questions are asking escapes us. If you can’t, that’s fine, I would still continue to review the modules where these questions appear . Thanks! Not a problem – I will definitely have a post out by next week, detailing the thorny language of the critical reading passages. I’ll focus on the difference between a primary conclusion and an intermediate conclusion I will also discuss strengthen and weaken questions. Let me know if there is any other concepts you would like more help with, and I will do my best to include them. Thanks! I look forward to reading your next blog. Those question types are are the toughest, in my opinion. Hi there. Approximately how many Long passages (i mean 50 lines ..about 500 words) can i expect on the GRE? Also, i realize that when it comes to those (literary…feminist,…art..movements/ causes..) kind of passages (i’m a business and engineering student), i get bored. I saw in your video that you recommend us to read more into these areas to remove the “phobia”. Could you recommend some sources where I could find stuff like these? Good question. You can definitely expect one long passage, sometime as long as 70 lines. On occasion you may get two passages that are about 45 or 50 lines, but nothing longer. Again, my sample is limited to a few tests but that is my sense. As for those wonderful passages about Thomas Hardy’s use of pastoral scenes to reflect his character’s psychological development, or how Virginia’s Woolf’s work was both overtly and unconsciously feminist…you can practice on passages from the old GRE book, or better yet from the Big Book of 27 GRE tests. (Yeah, I know sounds like fun). As for more topical sources, Christopher Hitchens, the grouchy and prolix – yet often brilliant – writer for the Atlantic Monthly, usually contributes a monthly piece on some long-dead British author and a particular facet of his/her work (of facets, as tends to get very multi-faceted). Indeed, Hitchens is known to use more GRE words in one sentences than most writers do in an entire article (incidentally his pieces are a great resource for in-context reading). Finally, The New York Times book review is good too. While it focuses on new releases, the prose style is challenging – if your brain can make it through an entire book review, it should do fine on the GRE. I hope that helps remove the “phobia”! I have tried practicing the Reding Comprehension but I am tired now, since I end up in scoring only 50% in the questions every time even though I read the passage thoroughly. The anticipation and exact findings of matching answers is a big time problem for me I feel. I have seen all the videos in the Magoosh video library but it is not helping me. Am I missing something? Please let me know if you could help me in sorting out this problem. Without really sitting down with you and figuring out exactly where you are struggling, I can’t be too sure how to improve. One area, you could work on, is trying to understand that, out of the ones you miss, why the right answers are correct and the wrong ones wrong. Meaning, there may be a pattern to the ones you are missing. Is there something about the wrong answers you are picking? If you want you should review the wrong answers video in the RC module. Why are your wrong answers wrong? If you can answer this, I think you should be able to start picking up on a pattern and hopefully increase your correct rate to 70%. Your idea is working, Thanks a lot. Band Aid was the 1984 brainchild of Irish singer-songwriter Bob Geldof and his friend Jim “Midge” Ure. Its original purpose was to raise money for famine relief in Ethiopia. Geldof called on a variety of British and Irish singers (with a couple of Americans mixed in) to record a single for free. The song, “Do They Know It’s Christmas?,” was released on November 29 and went on to sell a million copies in its first week. It would remain the best-selling single in UK history for another 13 years. Sales of the record raised nearly $144 million for the Ethiopian cause. Geldof and Ure ran into trouble with the British government, however, which refused to waive taxes on the record until public sentiment forced its hand. Which of the following can be inferred about Band Aid solely on the basis of information in the passage? (A) After 13 years, it succeeded in ending famine in Ethiopia. (B) No sales of “Do They Know It’s Christmas?” occurred in 1998. (C) The musicians on the record worked for minimum wage. (D) The single easily reached number one on the U.S. pop charts. (E) Geldof and Ure timed the song’s release for the holiday season. When I solved this RC I chose option C as my answer coz I inferred the Band worked for charity, but actually the correct answer is E.
Could you explain me whether what I thought is too much of assumption, as I make most of my mistakes in this kind of RCs. So first off – where did you find this passage? It is definitely not a GRE/SAT or any standardized test I can think of. The main reason I ask is that is important to use strong material. And by strong material, I don’t necessarily mean official guide material. 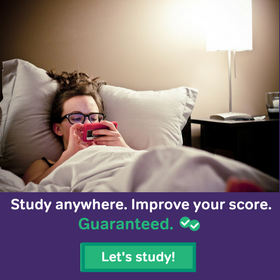 Kaplan or Princeton Review are going to have a certain standard they adhere to. This passage sounds like something out of REA (which is hands-down the worst test prep company in the world). So without using valid material it is hard to show you how an inference question really works. All that said – and I apologize for the mini-diatribe – you are definitely inferring way to much with answer choice (C). Unless the passage said something to the effect of “the musicians took part not because of the money, which was no different from what a person working their first job would earn, but because they wanted to do good. The passage actually says they “worked for free.” Therefore we know it cannot be (C). I’m not really sure if it could be (E) either in a test prep world. Sure Nov. 29th is close to Christmas but reasoning in that way is bringing in outside knowledge, i.e. not everyone knows it’s close to X-mas (yes, people in Mongolia take the GRE as well). My point is the passage and the question are poor attempts at trying to mirror a GRE question so to explain what is and what isn’t a valid inference we would need a valid passage.